For many out there, a full-size pickup truck – or even a mid-size pickup truck – is more than enough truck to get the job done. But there are some jobs that require the power and capability of a heavy-duty pickup truck. And when that’s the case, you want to make sure you’re getting the most powerful and most capable heavy-duty pickup truck available. 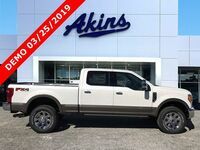 In other words, you want to make sure you get a 2019 Ford F-250 Super Duty here at Akins Ford near Atlanta, GA. That’s because the 2019 F-250 Super Duty lineup’s power specifications and capability ratings simply can’t be beat – something you’ll quickly realize right here in this 2019 Ford F-250 Super Duty versus 2019 Chevy Silverado 2500 head-to-head comparison. 385 HP & 430 lb-ft. Power Ratings (Gas Engine) 360 HP & 380 lb-ft.
450 HP & 935 lb-ft. Power Ratings (Diesel Engine) 445 HP & 910 lb-ft.
18500 lbs. Max Towing Rating 15400 lbs. 7630 lbs. Max Payload Rating 3435 lbs. 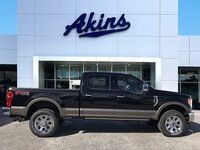 Something we alluded to but didn’t outright state in our introduction is that the 2019 Ford F-250 Super Duty lineup features best-in-class specifications where it matters most – specifically, power ratings and capability ratings. 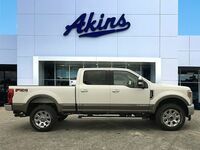 As you can see in the table above, both the 2019 F-250 Super Duty lineup and the 2019 Silverado 2500 lineup offer you the choice between a gas engine and a diesel engine – though, if you want the most power possible, the 2019 Ford F-250 Super Duty lineup’s engine options are the only way to go. 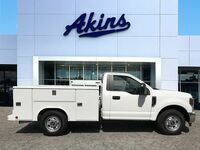 The same holds true if you want the highest towing and payload ratings. As shown in the table, the 2019 F-250 Super Duty lineup can tow and haul far more than the 2019 Chevrolet Silverado 2500 lineup. 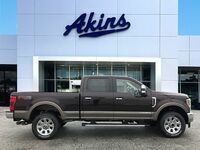 In the end, heavy-duty truck customers only have one option if they want to most powerful and most capable heavy-duty truck out there – the 2019 Ford F-250 Super Duty. To learn more, please contact our staff.